The Abyss is a hauntingly beautiful sim: desolate, remote and atmospheric. It's in part a commercial establishment, the creative outlet for Khai Sinister's lovely skins, hair, clothing and accessories. But beyond the shop areas and the walkways lies an amazing city, and it's completely untouchable, at once representing something we can see but can never really experience. You can view it from the walkways and the windows, camming and zooming, but you can't walk or fly there: it's elusive and forbidden. (I found myself thinking of Invisible Cities by the brilliant Italian novelist Italo Calvino.) But I so want to visit it! 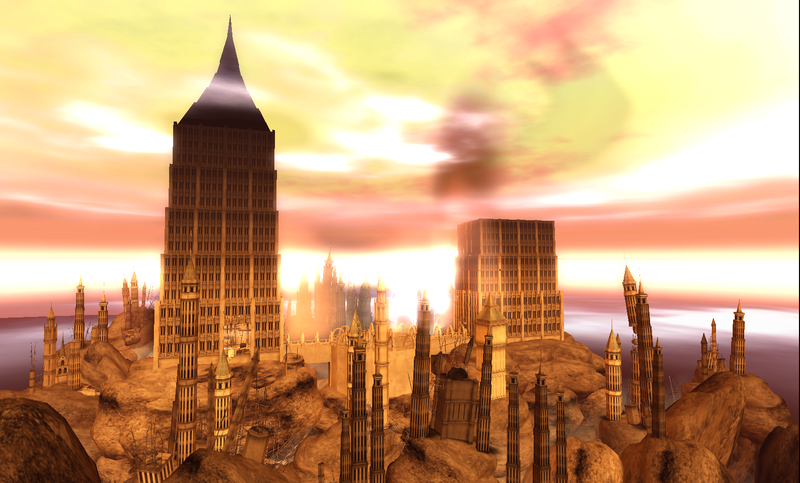 ... to walk among those wild buildings, breathe the air out there ... so somehow for me it evokes a feeling of yearning, and I really can't think of a similar place in Second Life, literally a place I can see but cannot touch. 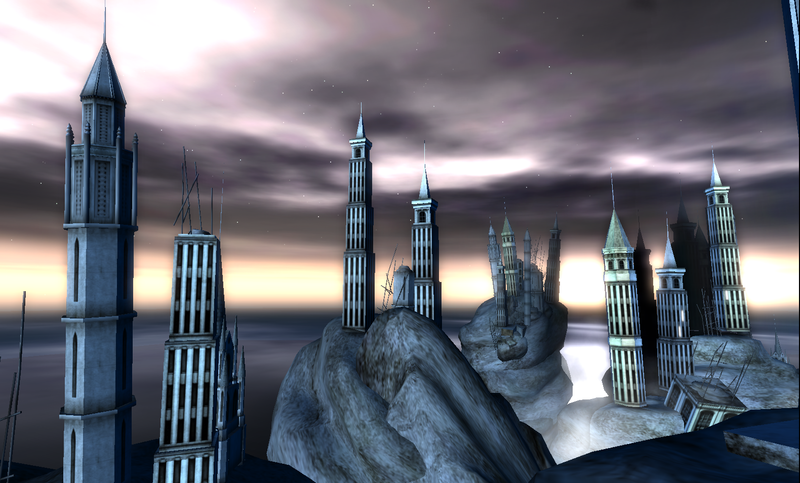 (And what fun you can have with Windlight here!) Thanks, Khai, and thanks to Jamie Holmer at INDI Designs for listing this on her Beautiful Places in Second Life list. Retropolis and the Last Voyage of "La Gata"